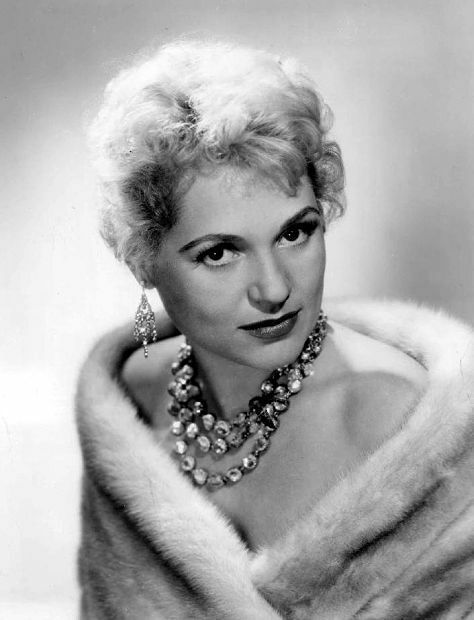 Judy Holliday (June 21, 1921 – June 7, 1965) was an American actress, comedian, and singer. She began her career as part of a nightclub act before working in Broadway plays and musicals. Her success in the 1946 stage production of Born Yesterday as "Billie Dawn" led to her being cast in the 1950 film version for which she won an Academy Award for Best Actress and a Golden Globe Award for Best Actress - Motion Picture Musical or Comedy. She appeared regularly in films during the 1950s. 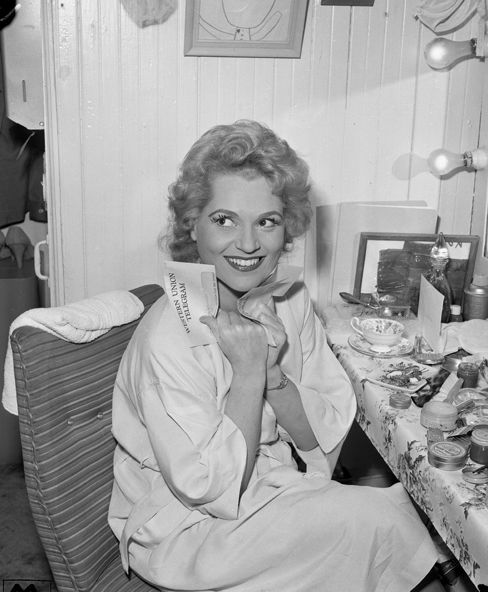 She was noted for her performance on Broadway in the musical Bells Are Ringing, winning a Tony Award for Best Performance by a Leading Actress in a Musical and reprising her role in the 1960 film. Read more on Wikipedia.